Mark’s future SIL picked up this little guy from the ‘friend’ he loaned it to, but it was mute when he got it back. Could the Unbrokenstring Crew make it audible again? 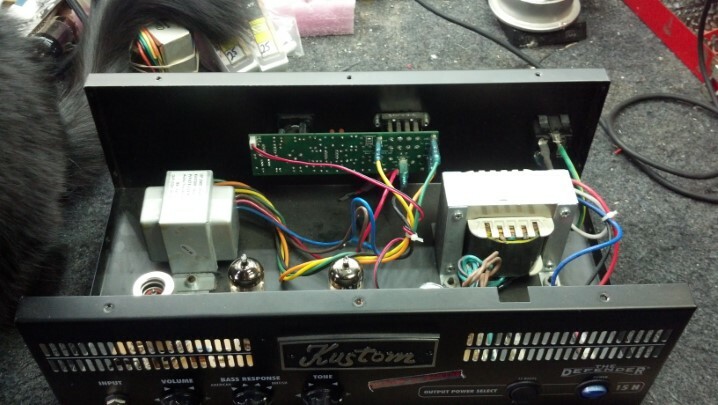 This unit is a very simple guitar amplifier, with two power settings. 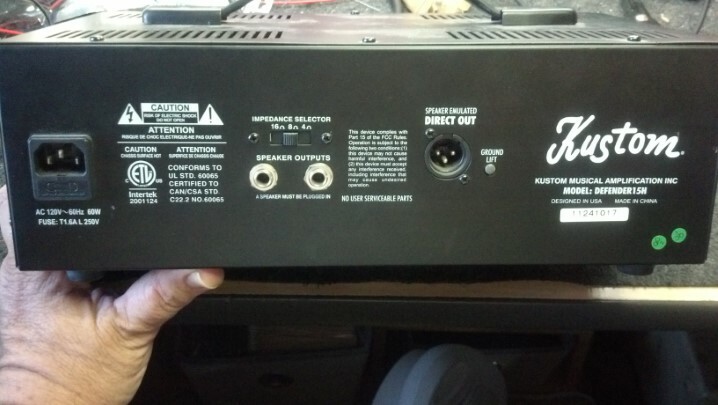 The rear panel has some good functionality, including a DI out and a loudspeaker impedance selector. And, of course, we have the Name, Rank, and Serial number, plus a couple of QC stamps! 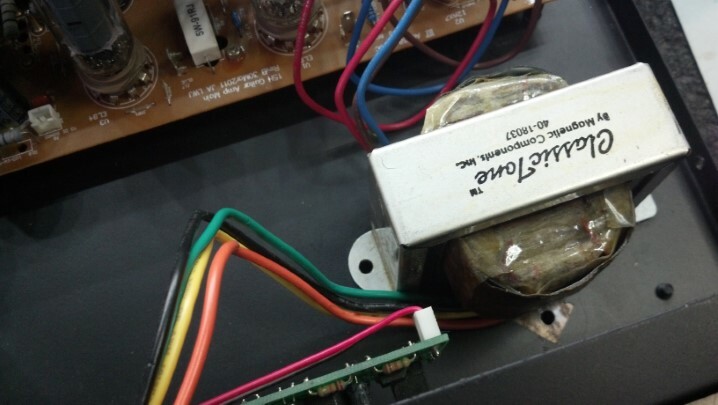 The output transformer is on the left and the power transformer is on the right. 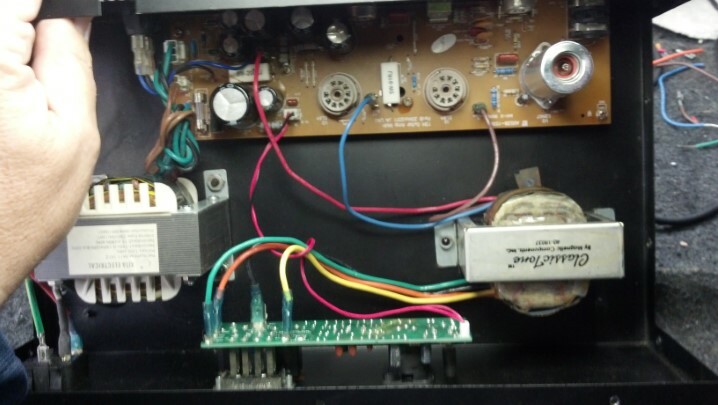 The input or high voltage side of the output transformer is shorted, reading about 6 ohms. 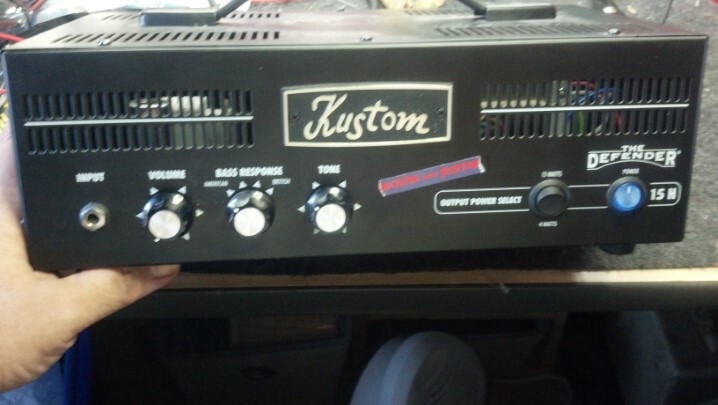 This should be about 10,000 ohms. 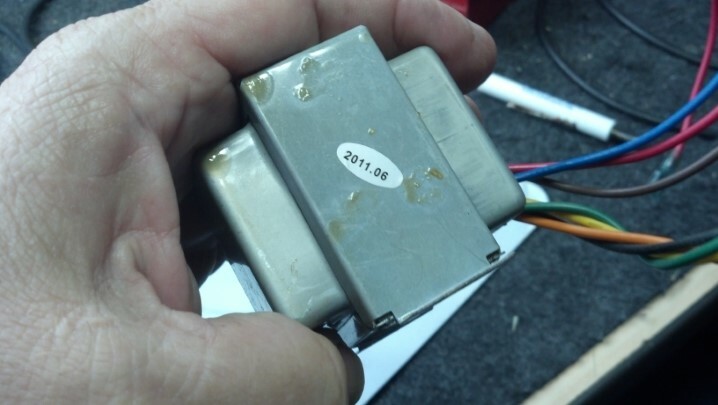 The date code on the output transformer says that this part is not old enough to fail. I speculate that it was made China-Cheap. 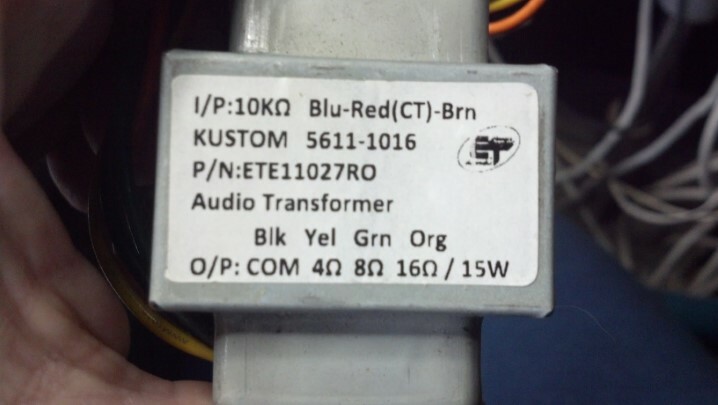 These specs are really useful, because the new output transformer can be sourced so that these ratings and connections can be matched. And here is our new part. It is a little bigger, so it will be mounted at a right angle to where the old transformer was mounted. The new transformer is bolted in. The wire color on the new transformer matches the wire color on the old one. This is too easy! 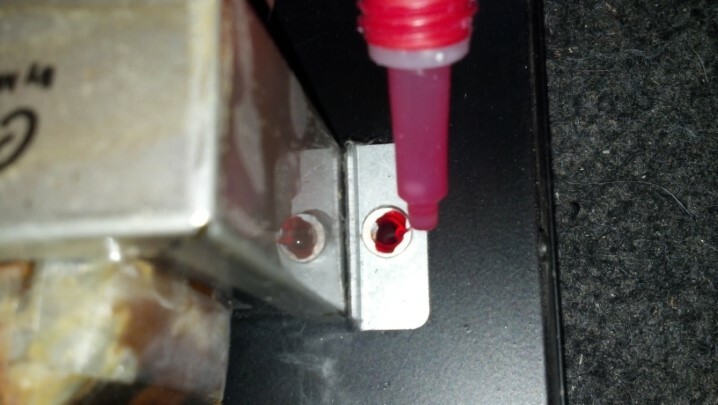 A drop of LokTite thread locker is added to the bolts to keep everything where it belongs. 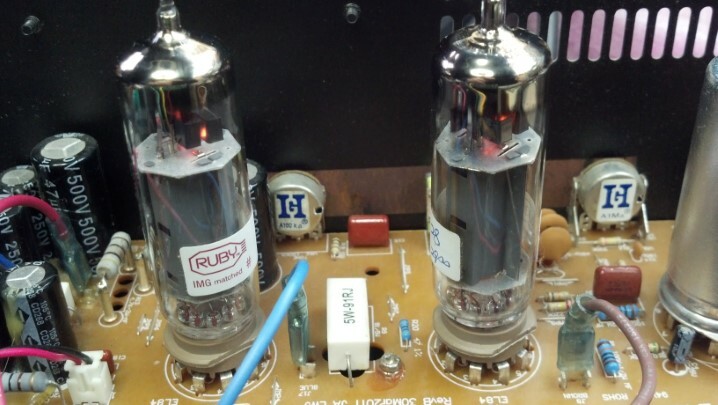 New tubes are necessary as the old ones had cooked and were not anywhere near matched. 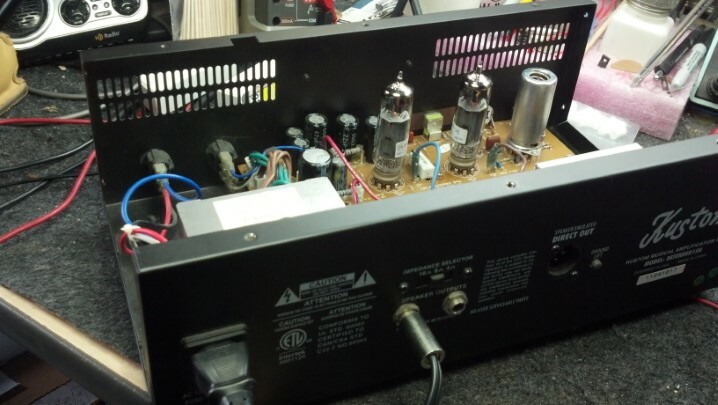 This amp uses a novel circuit to split the phase of the audio signal driving the power tubes, so these tubes need to be matched. 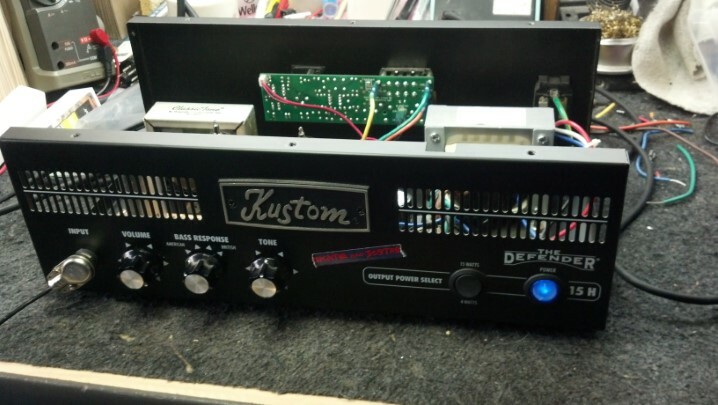 The amp is working and has passed all the final tests! And it doesn’t sound bad! The four hour burn-in starts after the top cover is installed. 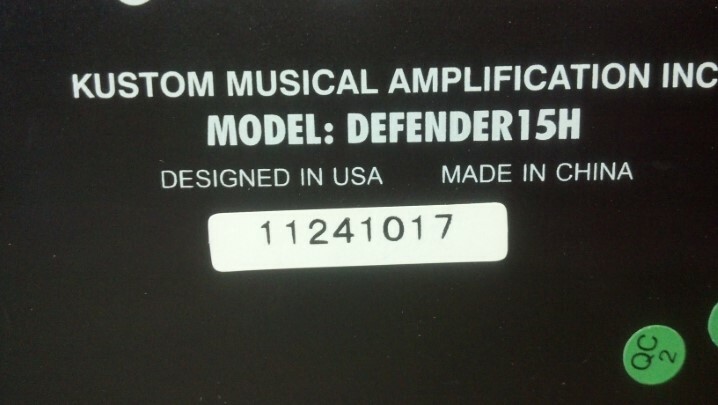 For a simple amplifier circuit, it does a good job of fighting against the silence. Oh, and don’t loan your stuff out. Thanks for reading all the way to the end!